Discovering one’s ancestors is a journey with many twists, turns, and detours. It’s a thrilling ride and the road can be bumpy and filled with potholes. ﻿ANCESTORS CONNECT﻿ can smooth the way for the often overwhelming and time consuming trip of uncovering the people and places while building your family history. Genealogy traces the lines of descent to one’s ancestors. Historically, mainly monarchies and rulers used it to legitimize lineage to wealth and power. But, in immigrant-settled America, genealogy always has been a popular pursuit. Today, thanks to the digital age and access to information, more and more people are researching their roots. There are many reasons to pursue researching a family tree. Maybe it’s simple curiosity. Was grandma’s great aunt really married to a prince? Was dad’s second cousin really exiled? Maybe the motive is more practical, such as determining a rightful heir or finding long-lost relatives around the globe. The more we know about our ancestors – the places from where they came, the circumstances they endured, and the adversity they overcame – the better we know ourselves. Additionally, we are creating an invaluable legacy for our children and future generations. Yes, computers and the Internet have simplified the genealogy process. Nevertheless, conducting the research is a complicated process. ﻿AN﻿CESTORS CONNECT﻿﻿ can help map your journey back into time and introduce you to your ancestors. Give a gift to your loved ones that will last forever and continue to grow! ANCESTORS CONNECT is a priceless gift for births, weddings, and other milestones. 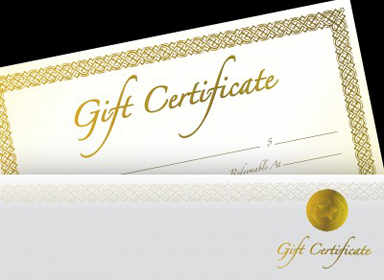 ﻿Call to have your Gift Certificate personalized.